Dr. Jürgen Ude, Secretary of State Saxony-Anhalt ; André Mangelsdorf ; Thomas Steinmetz, Ministry of Economy, Science and Digitalisation Saxony-Anhalt. 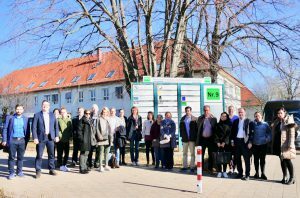 On 26 February, S3Chem project carried out its Final project conference in Halle, Germany. 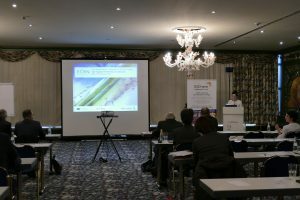 The Ministry of Economy, Science and Digitalisation of Saxony-Anhalt, represented by Thomas Steinmetz, opened the conference by underlining the positive outcomes of inter-regional cooperation, and highlighting the work ECRN has been performing in connecting regions and raising awareness on emerging themes for cooperation. 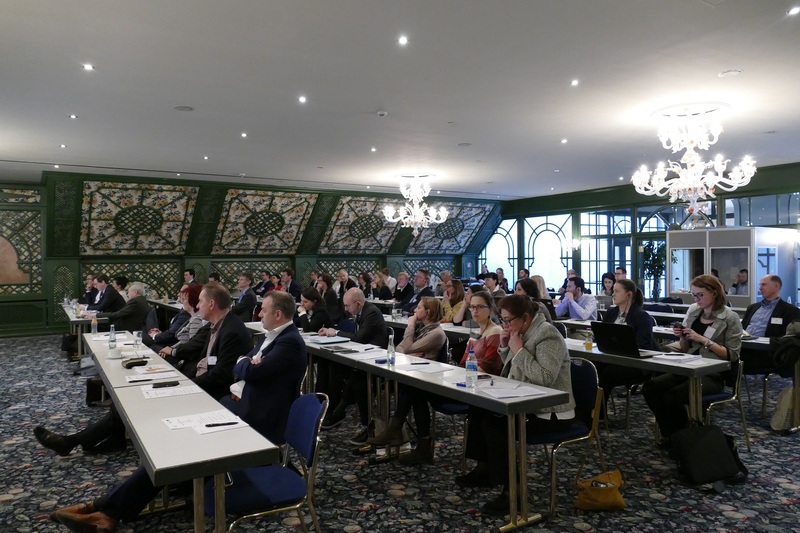 This Interreg project, which is facilitating the relations between regional stakeholders in the Chemical industry, aims to allow the involved European regions to exchange knowledge on successful policy tools and strategies, share practices and learn from each other. 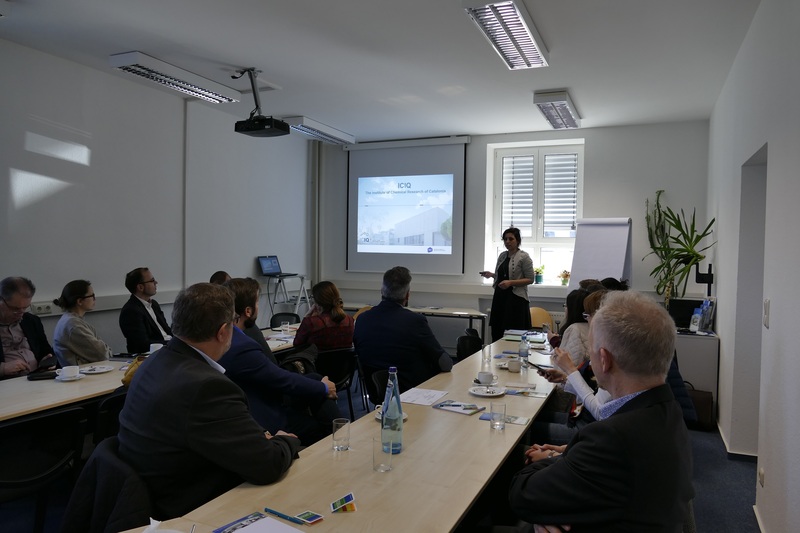 Over 60 participants were present to hear the experiences and knowledge accumulated during the project’s first three years. 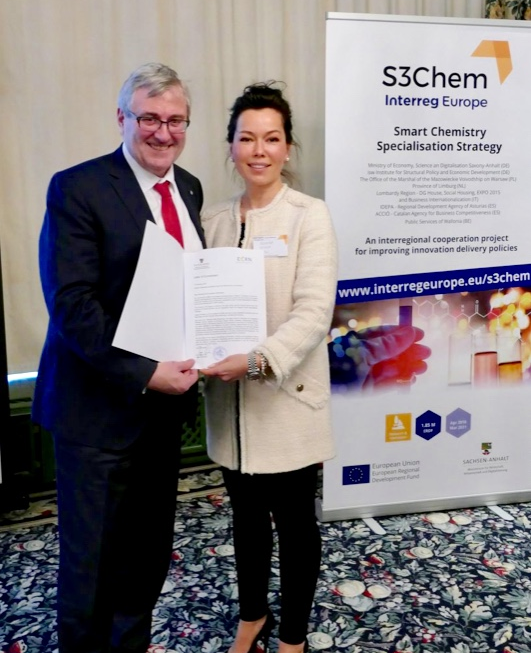 In addition, the third S3Chem dissemination conference was devoted to the topics of Regional Innovation Strategies for chemistry and bioeconomy and future actions to promote innovation in the chemical and bioeconomy sector, as mentionned in the Interreg Newsflash. Based on the good practices regions learned from each other, they have taken the stage to present an action plan to implement in its own territory in the next 2 years. 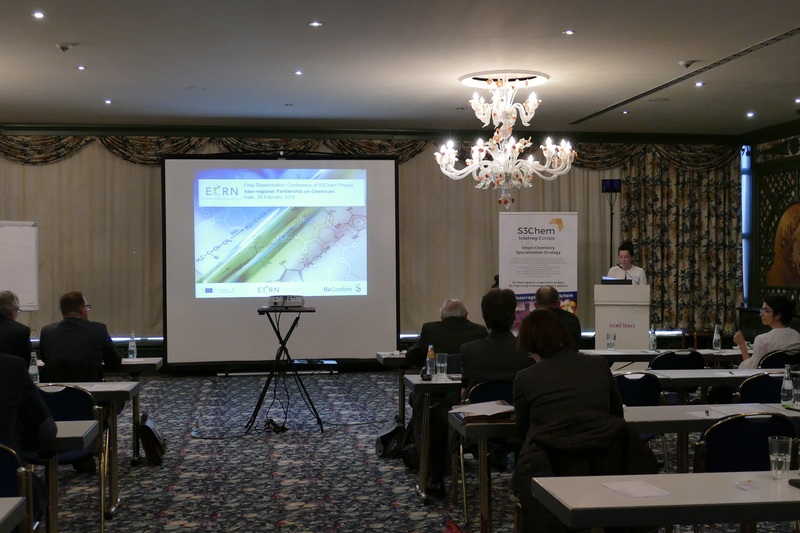 ECRN was invited to present a successful new partnership for inter-regional cooperation. 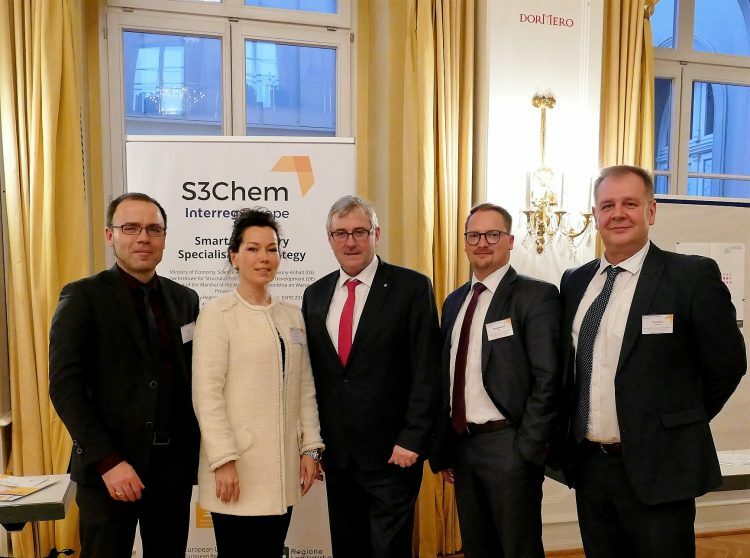 The network has been actively represented by the director Renatka Krcova who spoke about the Thematic Area Chemical established under the S3 Platform for Industrial Modernization. Great potential can be used to connect the S3platform with the S3Chem project in order to make use of the knowledge and to gather the relevant actors. 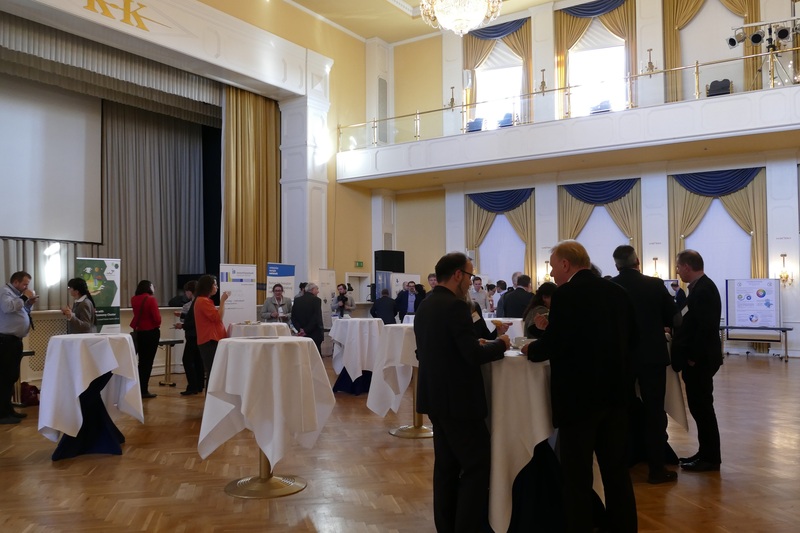 All the more, Saxony-Anhalt’s State-Secretary officially announced at the meeting that the region of Saxony-Anhalt is officially joining this Partnership, re-confirming Saxony-Anhalt’s engagement within ECRN (see also the press release from the Ministry in Saxony-Anhalt). 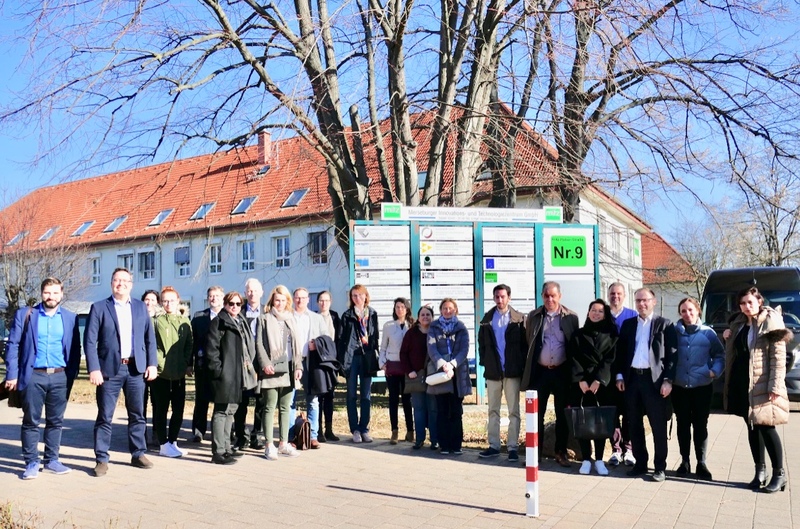 Afterward, participants had the chance to visit the innovative Fraunhofer Performance Center for Chemistry and Biosystems, an important contact point for networking between business and science of the chemical industry in central Germany.